The hit Windows Phone game- now with Xbox LIVE! 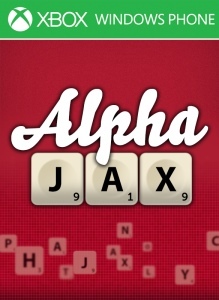 AlphaJax is an award-winning, must-have free word game that allows you to compete against friends and strangers alike, all you need is a love of words and some “interwebs”. Play up to 30 games at once and receive instant notifications when opponents play moves or chat messages to you using the in game chatting service. Create games with contacts, enjoy a random skill match, or call out for a game to friends on Twitter and Facebook. In a hurry? Pass and play with a friend or hone your skills by playing yourself. The AlphaJax rating system provides a real sense of lasting achievement as you progress up the leaderboards and means you are always guaranteed an enjoyable and challenging game.